From Dial M for Murder and Vertigo to North by Northwest, Psycho and The Birds, Alfred Hitchcock (1899-1980) made some of the most memorable thrillers in the history of cinema. Acclaimed for both his daring artistic innovations and his irrepressible showmanship, Hitchcock blended suspense, humor, and psychologically unsettling themes to create an extraordinary body of work. 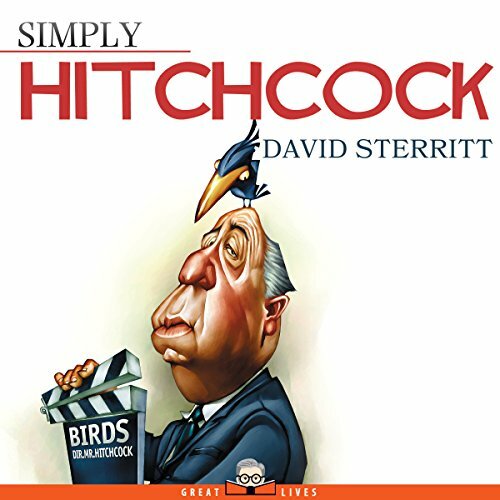 In Simply Hitchcock, author and movie critic David Sterritt explores the celebrated director’s entire career, from its beginnings in the British silent film industry to its glory days in Hollywood. He shows Hitchcock as a consummate artist who dealt with deep existential and psychological issues, as well as a mischievous prankster who loved playing tricks on the audience and never missed a chance to pull a dead rabbit out of a hat. With wit and erudition, Simply Hitchcock paints a comprehensive portrait of a brilliant and complex man, who not only made indelible films, but also succeeded in establishing himself as the most instantly recognizable movie director of all time.